Alto series, which is the preference of those desiring to create outstanding spaces in design and decoration, can change colors depending on the point of view by virtue of its three-dimensional embossed texture and bright look. The series brings a great dynamism and richness to the living spaces by creating games of light. 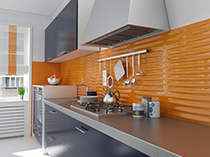 Rich color preferences, gracious pastel shades, different dimensions and usage areas… Brano series, representing simplicity, offers numerous alternatives! Brano series, blending soft colors with the matt texture thereof, is also impressive with the clarity thereof. 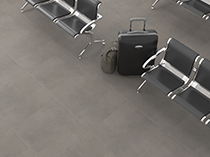 Numerous advantages of Buxy series comprise its availability in different dimensions and the matchless beauty offered by the colors to the living spaces… Wall and floor tiles in smoke-colored tones gain dynamism with asymmetrical mosaic decors. Buxy series can be safely used in the gardens, terraces and pools with its frost resistant structure. Matt surfaces, plain colors and natural tones ... The concept series blends simplicity and grace. The series, which attract attention with its square and rectangular forms, is an ideal preference fo creating natural looking spaces. Concrete series is a series specially designed for those who want to enjoy the cold and modern touch of raw concrete in different spaces ... Concrete series preferred in houses in addition to hotels, plazas and offices brings naturalness to the place to the spaces thanks to its unobtrusive anthracite tones. The name Çırağan originally comes from ceragan which is a Persian word meaning “full of light”. ’ The floor and wall tiles of Çırağan series, blending black&white contrast with the magical language of the flowers, make an indelible impression with their brilliance and creates games of light in your bathrooms thanks to their edging. Fethiye series, having sand tones is a series which gracefully completes the blueness of water. 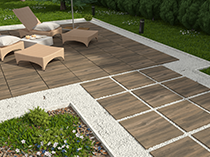 Fethiye series, produced for use especially on wet floors, pool sides and gardens with the nonslip structure thereof is both a stylish and handy alternative. The warmth of timber was revived in ceramics ... Homey's matchless color option, offering a sincere atmosphere to your esteemed side allows free choices and creates warm spaces. 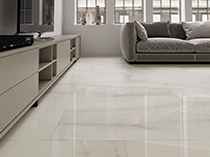 Marmara series, named after the marbles extracted from the Marmara Island since Byzantium period, is inspired from grey-white cloudy appearance of the natural marble. 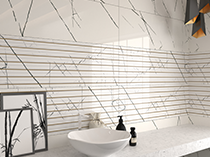 Marmara series, produced from glazed porcelain with digital technology, offers glossy products suitable for using in wet spaces by virtue of its modern lines. The series can also be utilized in the entranceways and corridors. Offering two different options with the sizes of 21x63 and 40x40, Marrakech series also brings Moroccan breeze to your bathroom with its mother-of-pearl and Copper colors. Can also be used as wall and floor tile, Marrakech will be the choice of those looking for eastern breeze in the midst of spring winds. Can be used both in interior or exterior spaces without any difference. Picasso series, which can be used in the bathroom, kitchen, office and social spaces, adds a matchless atmosphere to the space. It is utilized with its look feeling wood and can be employed both for the walls and floors inasmuch as it is ease to clean. Picasso series, when blended with Carpet series, creates spaces looking like work of art. Quartz series will never disappoint your esteemed side. Quartz series comprising grey, beige and anthracite colors is an excellent option designed for those, who desire to create simple spaces. 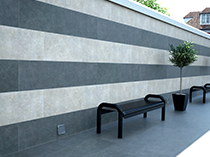 Serpegiante series, providing the bright form of the natural stone appearance, brings warm color shades to your spaces. Those, who desire to reflect enchanting effect of the big size without making your eye tired, prefer it. Urban series, preferred rather for architectural projects, with the complementary colors and forms thereof is inspired through the dynamism of the city. Urban series represent the bohemian style, with the simplicity, naturalness and antiquated look thereof. Contrast of black and white come are blended in the design. Viso series, with a geometric quality thanks to its extraordinary designs, creates harmony in the spaces with black and white and is preferred by those who do not give up contrasts. Naturalness of the wood is offered for your living areas thanks to Zigana series… Zigana series resembling parquet with its rectangular cut, is the ideal choice for those, who want to enjoy warmth of wood patterns and comfort of ceramics. You can get information about announcements, new models and campaigns by signing up for our mailing list.